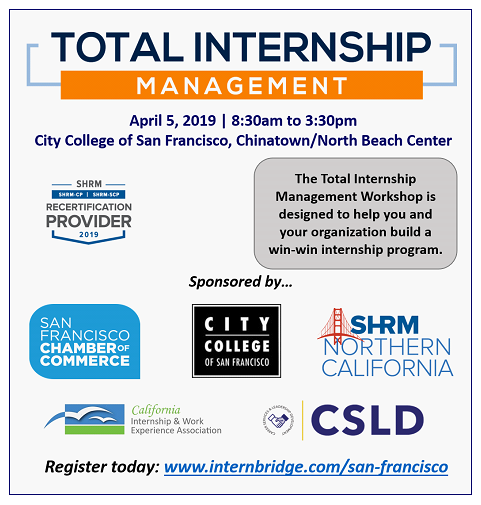 Everyone knows the value of internships, but does your organization run a strong intern program that maintains a pipeline of highly qualified candidates for full-time roles? Internships and other forms of experiential education help students make a seamless transition to the world of work and are a perfect vehicle to increase retention rates, complete short-term projects, and identify future hires. This workshop has been accredited by SHRM-PDC and by attending you will receive six (6) CEU Credits!